NIRAJA GOPAL JAYAL is professor at the Centre for the Study of Law and Governance at the Jawaharlal Nehru University, New Delhi. Her book, Citizenship and Its Discontents (Harvard University Press, 2013), won the Ananda Kentish Coomaraswamy Prize of the Association of Asian Studies in 2015. 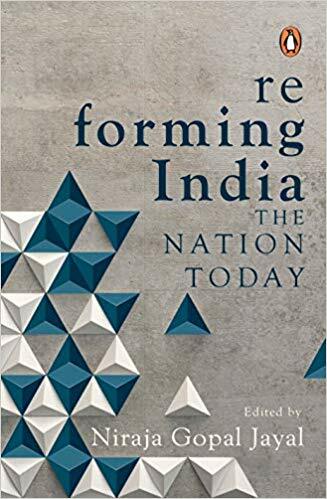 She is also the author of Representing India: Ethnic Diversity and the Governance of Public Institutions (Palgrave Macmillan, 2006) and Democracy and the State: Welfare, Secularism and Development in Contemporary India (OUP, 1999). She has co-edited The Oxford Companion to Politics in India, and is the editor/co-editor of, among others, Democracy in India (OUP, 2001) and Local Governance in India: Decentralisation and Beyond (OUP 2005). She is currently working on a book on the decline of the public university in India. She has held visiting appointments at, among others, King's College, London; the EHESS, Paris; Princeton University; and the University of Melbourne. In 2009, she delivered the Radhakrishnan Memorial Lecture at All Souls College, Oxford.